What Is A Closed End “CUP” Rivet? Closed end “CUP” rivets differ from open end “Standard” rivets because they provide 100% mandrel retention. The head of the mandrel stays inside the set rivet, thereby sealing it and blocking the passage of fluids or gases. They are often used when working with liquid-handling components such as hydraulic pumps. Goebel’s “CUP” rivets provide two major advantages compared to open end “Standard” rivets. They are water-tight. Once the “CUP” rivet is set, it prevents vapor or liquids from entering the work piece. 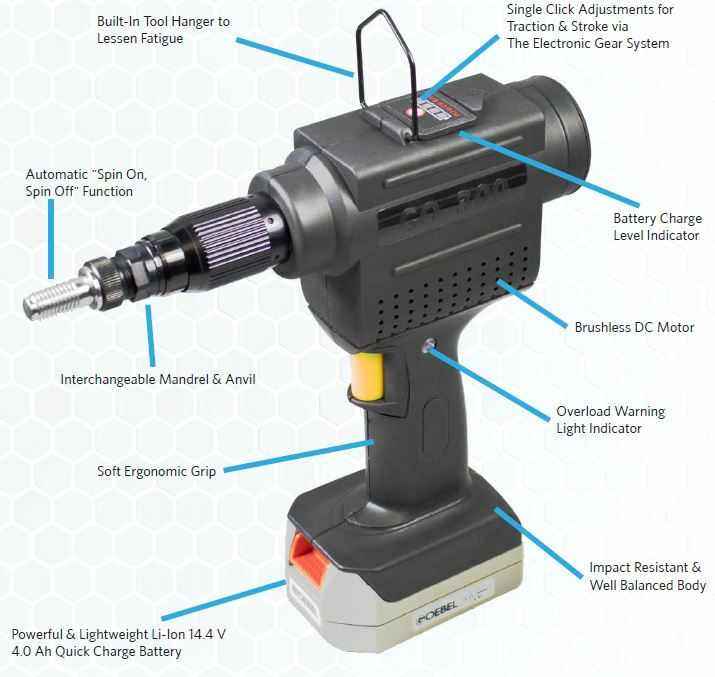 Mandrel retention: This is of utmost importance in applications where we don’t want small things to bump around and possibly cause a malfunction, such as electric and electronic equipment. 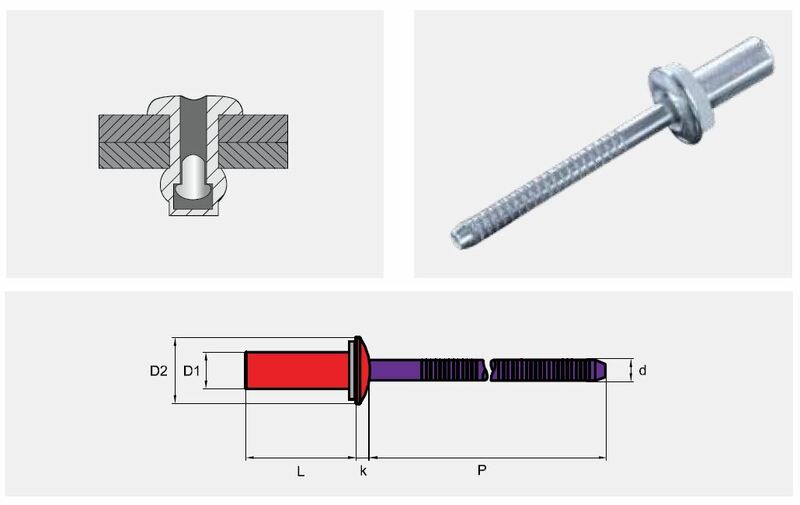 Additionally, the retained mandrel also adds to the shear and tensile strength of the set rivet. Goebel’s CUP rivets are available with dome or countersunk head styles and come in a variety of material combinations, including: All-Aluminum, Aluminum-Steel, Aluminum-Stainless, and All-Stainless. While closed end rivets are said to be 100% water proof, there are certain things we need to look out for. First and foremost, the drill hole. Even if the rivet itself is set correctly and it turns out to be 100% water proof, we might still experience some leakage due to an uneven or oversized drill hole. One possibility to minimize this risk is using a washer. Goebel has developed the JBD-CE series to help with this known issue. For more information on the JBD-CE series, please feel free to reach out to us directly or through one of our distribution partners. Page 25 of our Blind Rivet Catalog will also give you a first idea of different sizes and specifications. Looking for the right tool to set your “CUP” rivets with? Check out our Tool Catalog!